Universal Analytics Come out of Beta – Are you Ready For It? A few days ago, Google’s Universal Analytics came out of beta. Well for most small to medium sized businesses, it may not mean much. If you are using analytics at any level, here are some things you definitely need to know. You need to be prepared for this because if your Analytics picks up e-commerce transactions some extra coding may need to be done to ensure you can still pick up the your transactions. You should budget for this. You will be able to blend online and offline interactions via an anonymous ID to link data together – the possibilities include your Customer Relationship Management (CRM) systems, in-store purchases, call centres, point of sale systems and even data from different websites you own. For example, if you had a loyalty card, you could track an individuals in-store and online purchases using Google Analytics.You will be able to use an anonymous ID to link data together – the possibilities include your Customer Relationship Management (CRM) systems, in-store purchases, call centres, point of sale systems and even data from different websites you own. If you are interested in this, you will need help to take advantage of this. If you are not an e-commerce site, you should consider upgrading now. If you are an e-commerce site, get help to make sure you don’t lose data. There is a simple process to upgrade. You can either create a new Analytics property or upgrade your existing property. If you plan on upgrading, Google have some handy instructions here. If you upgrade your existing Analytics, ensure you make an annotation in Google Analytics so that any changes are recorded. Otherwise in a years time from now, you may forget what you did and wonder why data suddenly changed. If you choose to create a new property, bear in mind that you will not have any historical data so you should still retain your existing property. Initially we expect that large businesses will use the features of universal Analytics more than small businesses. Many small businesses currently do not use the full features of Analytics now. However, understanding what is possible may give your business an edge. We’ve been holding off upgrading to it until now because it did not have feature parity with classic Analytics. We will be making the switch in the very imminent future. We plan to keep you updated on what changes we notice since making the switch. We’ve really scratched the surface of the changes. We just wanted to cover off what we think are the major changes. If you want to read more, Kissmetrics has an excellent article about what the changes to Universal analytics mean. Alternatively, feel free to contact us if you need help upgrading or unsure whether you should upgrade now or wait. How to Keep Track of your Website’s History in Google Analytics? Ever made changes to your website and then forgotten when it was that you actually made the changes? Maybe you (or someone else) sent an email out and got a blast of traffic and then later looked at Analytics and wondered what caused the traffic to your website to spike? Its a common problem. Changes in staff and deterioration of memory over time don’t help the situation. Fortunately Google has recognised this, and has provided website owners with the ability to record key information in Google analytics so they never have to wonder what happened. Called annotations, this nifty little feature helps business never forget key marketing activities and the impact of those activities. 1. Navigate to the timeline in analytics by going to Audience and then Overview. Once there, click on the little drop down arrow as shown in the image below. 2. Click on the date field. Note: private annotations means that only you will see the note whereas shared annotations means that other users of your websites analytics will see your note. 5. Once “Saved” you should see a little note icon appear in the timeline. Clicking on the note, opens up the information in the annotation. What things should you use annotations for? Half the money I spend on advertising is wasted; the trouble is I don’t know which half,” lamented William Lever, founder of Unilever way back in the late 1800’s early 1900’s. A hundred years on and many advertisers still say the same thing. In fact, 72% of marketers agree that attribution enables better decisions – the problem is that 44% don’t use it. There are solutions to this age old problem, the issue is that many businesses are not aware of some of them. Or at least how to pull it together. So this article aims to give you a few tips and hints on how you can measure your offline and online marketing more effectively. 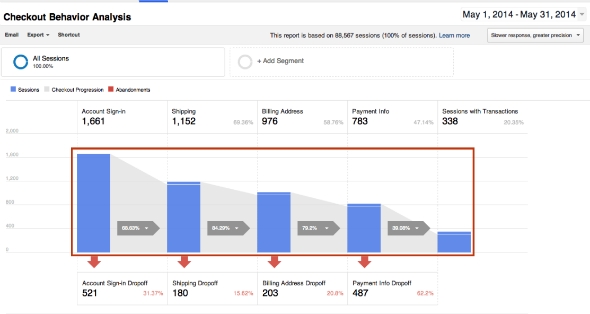 Fortunately, Google has three free tools that you can use to track the effectiveness of your marketing spend and benchmark your effectiveness. This nifty little tool is useful for measuring the effectiveness of online and online campaigns and how they drove both visits to your website and conversions in Google Analytics. You can use it to evaluate marketing campaigns on social media (think posts & ads on Facebook, LinkedIn, Twitter), email campaigns, listings on paid directory sites and even offline campaigns like direct mail. By completing the form, the URL builder will generate another version of your URL with all your campaign information included. The information about your campaign is then passed on to your Google Analytics reports. Campaign Name: What is the name of the overall marketing initiative? Campaign Source: Where is the link displayed? e.g. yahoo.com, newsletter, etc. 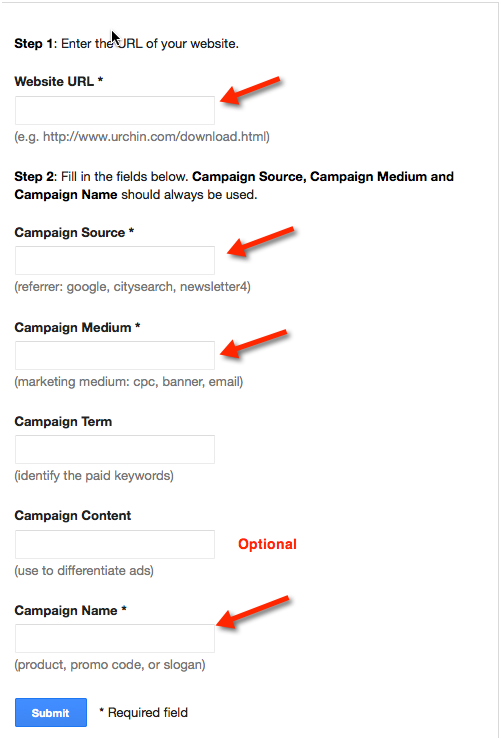 Campaign Content: This is an optional tag to define the call-to-action or ad headline. 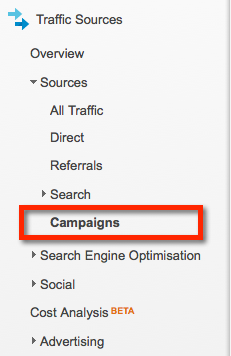 Note: You don’t need to use this tool for tracking AdWords campaign. Instead you need to link your Google Analytics and Google AdWords account and ensure you have enabled auto-tagging. When you want to see the campaign results, you can simply jump into Google Analytics and navigate to the Campaigns report. This is a new tool within Google Analytics that was recently launched. You can use this tool, model to understand the impact different marketing channels had on lead generation or sales. Previously, Google analytics recorded conversions based on last last click and therefore worked on the assumption that consumers follow a linear path to purchase. The reality is that consumers rarely shop linearly. They might have been exposed to your brand or business via Facebook, then later clicked on a Google AdWords and gone to your website, because they were in research mode and your offer was tempting they returned. When they returned they left their email details with you. You emailed them with an offer so compelling they brought. If you are tracking conversions, then your email would be credited with the conversion, leading you to think that the rest of your marketing was ineffective. 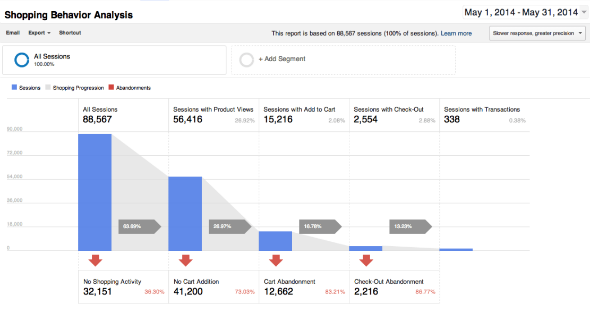 This tool inside Google Analytics solves that problem. It helps you identify which parts of your marketing program helped lead to the conversion. Identifying this will help you re-allocate funds towards the channels that are helping you even though they may not have been immediately obvious initially. Using the tool helped Amari Hotels identify under utilised channels and generate a 45% increase in sales. Impressive! You can see a great case study from a Vinoaj Vijeyakumaar who presented at the the Google Analytics user conference we attended in late June. 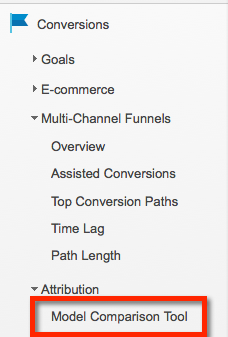 You can find the tool in Google Analytics under the conversion sections of your report. The final tool in Google analytics is the cost analysis tool which lets you see the costs and the return on of your marketing campaign by campaign source, medium and name. Therefore if you are using offline channels like newspaper or direct mail to advertise your products and services, you can set up analytics so it can import the cost data from each of the channels and get a read on what campaigns are working or not. The power is in being able to use the three tools to really measure the effectiveness of your marketing spend. 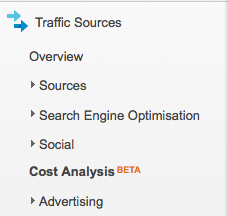 You can navigate to the tool in Google Analytics from the Traffic Sources section. Be warned! You won’t see any data in the tool from your offline campaigns in there. That’s the bit that gets a little technical and needs to be set up from the Admin area. They power however is in knowing it can be done and using the three tools together to really measure the effectiveness of your marketing campaigns. Ok so what if you get the majority of your sales and leads from the telephone and not from people buying products online or filling out your contact form. No problem – this is where the fourth tool comes in handy. You can track and measure the success of your marketing campaigns by tracking phone calls generated by both online and offline channels. Typically, you might want to track calls generated via Google AdWords, organic search, social media, newspaper ads or even direct mail etc. The beauty is that your call data can be automatically imported into Google Analytics and measured at a campaign level. Phone call tracking is not free. This is because as you need to use a third party provider like Jet Interactive or Delacon. But each provider has comprehensive plans that range from capped plans to pay per call plans. By using phone tracking in combination with the other tools, you can really measure the effectiveness of your market spend and evaluate how each channel is performing. Understand that this will help you make better budget decisions and enable you to redirect your marketing spend to the channels that help grow your bottom line. Google Analytics are also making some more changes that will enable you to better measure your marketing effectiveness at a device level. You can read more about Universal Analytics here. While some might say the devil is in the detail, I think the devil is in the data. What do you think? If you want expert help to set up a process to measure the effectiveness of your campaigns, feel free to contact us. A challenge that many businesses face is measuring the effectiveness of their marketing spend – both offline and online. That task may soon get a little easier – thanks to the release of Google’s Universal Analytics. Like Google Analytics, Universal Analytics tracks behaviour on websites. However, the key difference is that while Google Analytics tracks visits to a website, Universal Analytics tracks visitors. This may seem like a small difference but actually it is a BIG distinction and will be a big deal for marketers and businesses who want to mine insights to help grow their business. The ability to track visitors means that you will eventually be able to track the activities of one visitor regardless of what device they use to access your website. This means you will be better able to track conversions at a visitor level not by the number of visits. At the moment, we can only really track conversions by visits. This has been less of a problem in the past, but the as the consumer path to purchase has forever changed it has become more of an issue. For example, if the same person came to your website via mobile and later came to your website via desktop computer and purchased a product, that one person would be tracked as two visits and one conversion. Current analytics will not track which source actually helped or assisted the conversion if they came from a different device. In the example I provided, the reality is that only one person visited your website – albeit multiple times. Therefore it can be difficult to attribute effectiveness of different marketing campaigns at a more granular level. With universal analytics, customers can be assigned an anonymous user ID to track purchases offline by visiting a store or phoning and online by placing an order. The real beauty of the system is being able to segment users into different groups so you can market to them better. Imagine being able to identify visitors at the risk of dropping out of your sales funnel or even being able to assign exactly where the sale came from. Imagine being able to use this information to be able to automate your marketing program to give them a gentle nudge back to your sales funnel. It is not that far out. At the heart of the new universal analytics system is assigning a visitor a unique user ID number. Yep – I know it sounds like a pain – another technology hurdle – but perhaps it is not be as difficult as what you think in the future. If you had a loyalty program (that has a membership card number), or even an email address, a CRM system or a coupon code that could uniquely identify a visitor, it can be done. Obviously there are a couple of data privacy issues to deal with. Nevertheless I am pretty sure that the appropriate technology could be used to encrypt this type of information and assign a visitor a unique ID. The key is understanding your goals and then mapping out a process that supports those goals and putting measures in place to help track & measure and help you market better. Businesses and analytics professionals are only starting to come to grips with what this might mean. Universal analytics is only in its infancy. However, if you are interested then I recommend you head on over to this blog post where you can see how Universal Analytics could be applied at a ski resort. We had the pleasure of listening to Justin Cutroni talk about this live at a recent Google Analytics User Conference in Melbourne. It’s an interesting case study of where the future might lie. What do have on your wish list?